Comment: We have a problem with fleas at the moment. We are located on Smith Island in Everett. We have a cat that we need to treat that is always outside, but lots of traffic in and out of the office so that it has created the fleas inside the office. Comment: There is an animal of some sort caught in our duct work. We would like it removed ASAP, as well as the probable point of entry identified. Comment: I have a >500sf crawl space under the house that was inspected and found rodent infestation that had damaged the vapor barrier and insulation. I am getting quotes for extermination. Everett Pest Control Services are rated 4.52 out of 5 based on 896 reviews of 12 pros. 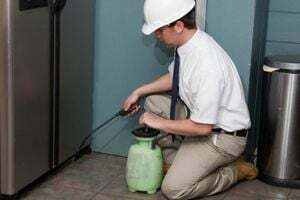 Not Looking for Pest Control Contractors in Everett, WA?